Huzzah! 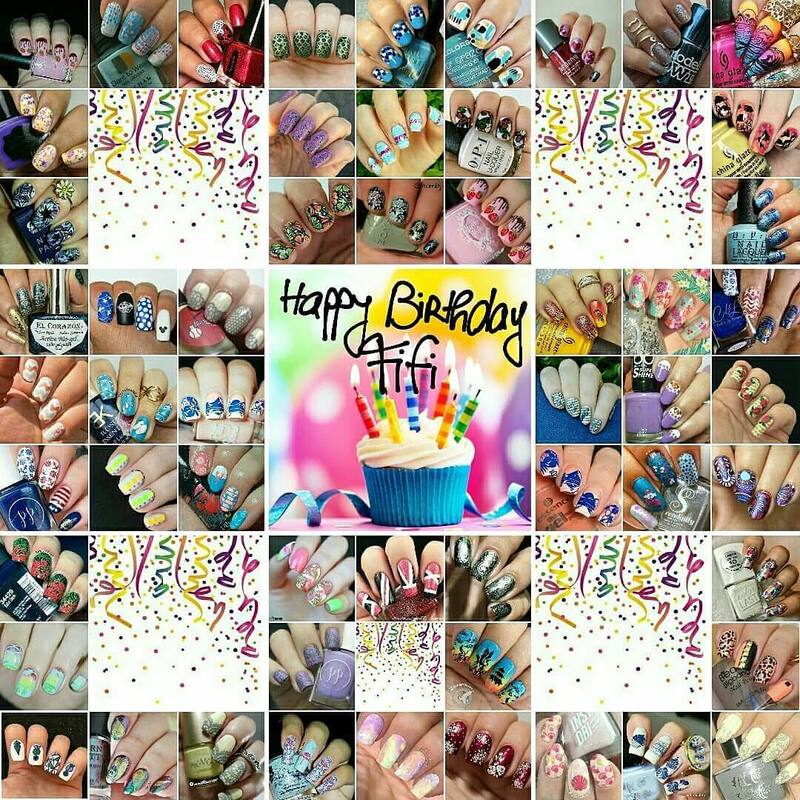 Today is Fifi’s (@damselnails) birthday and her Instagram friends decided to recreate some of her beautiful designs to celebrate. Fifi has so many beautiful manis on her account. 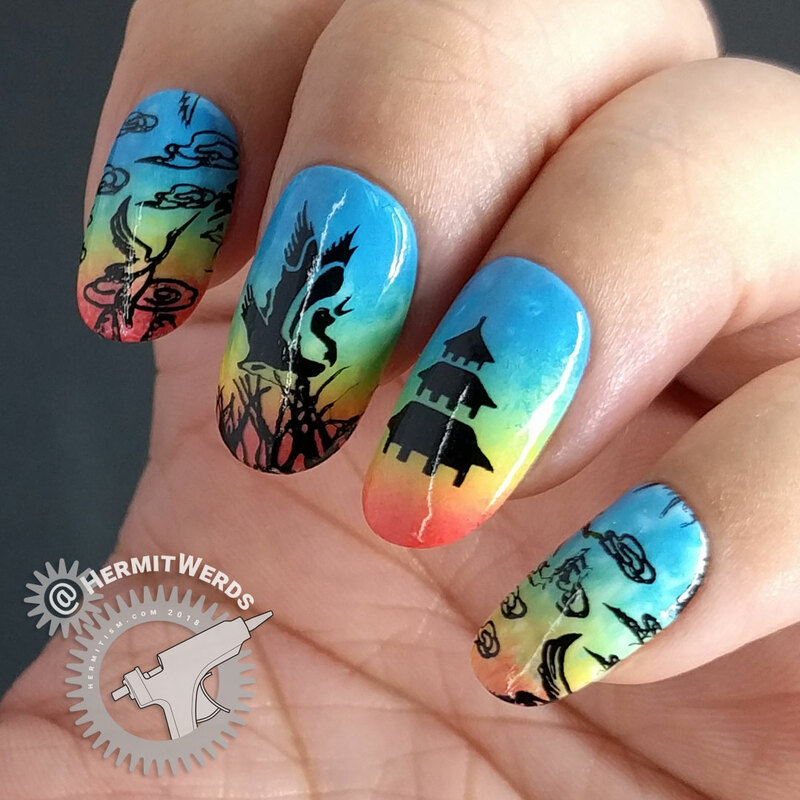 Lately she’s really been knocking my socks off with her vintage designs, but I’ve been on a rainbow kick lately so I picked this gorgeous design that she posted clear back in August 26, 2017. 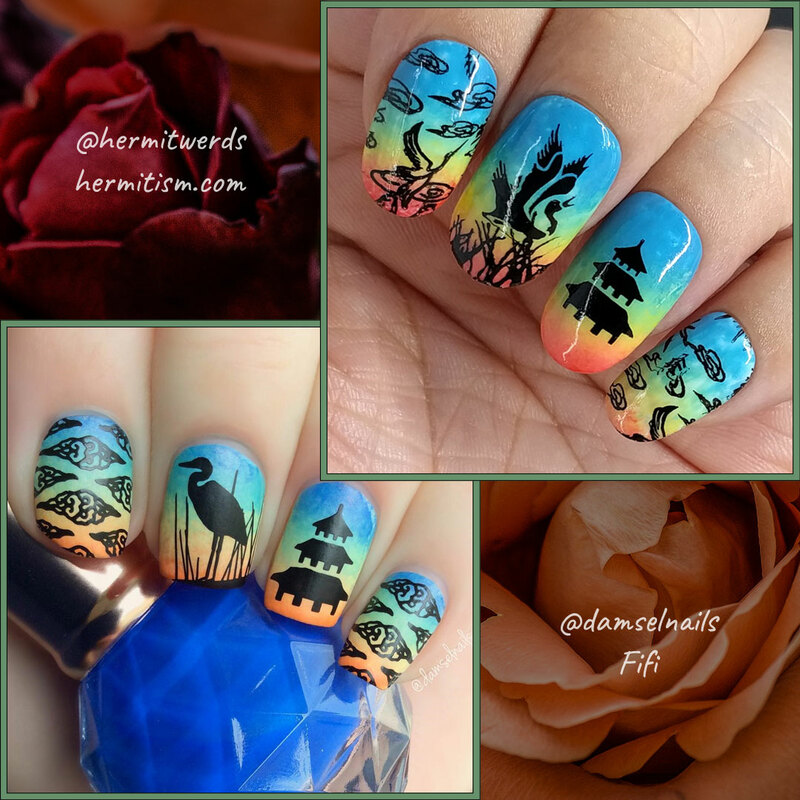 I did not have exactly matching stamping plates or polishes, but I’ve come to realize that’s the fun of trying to recreate someone else’s work. 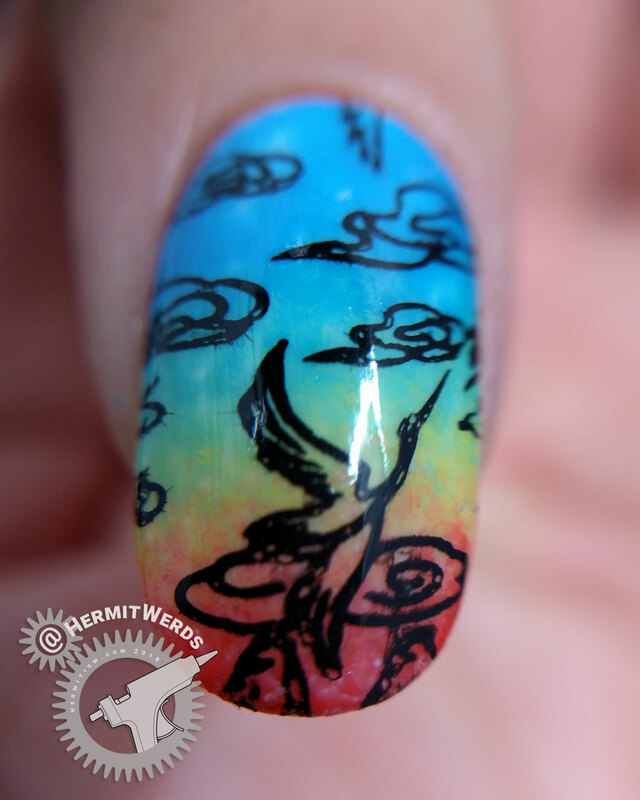 Instead of her noble heron, I went with the craziest little crane I had in my stamping plate collection. We’re celebrating a birthday here, people! 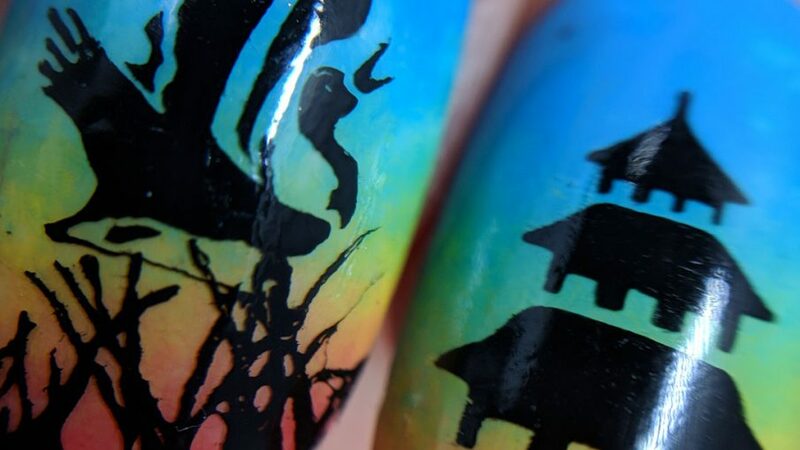 This design was also done on false nails that had first been painted white. I think that’s why my version feels so much louder than hers. Either way, I hope she likes it! Happy birthday, Fifi!